Thank you for shopping at Toolorbit! We try our best to ship your orders as soon as possible. You have any questions regarding your order you can Email us or call our toll free number (888) 722 8299. We will be glad to assist you. 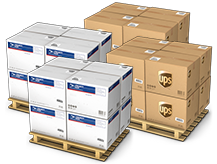 Keep continuous track of your UPS package until it arrives at your doorstep. Simply type in the tracking number provided to you by Toolorbit in shipment confirmation email. Now you can track your USPS Mail piece all the way to its destination. All you have to do is enter the tracking number sent to you in our shipment confirmation email.